behavioral interventions, namely, exposure and response prevention (ERP), which involves confronting obsessive fears intentionally and resisting related compulsive physical and mental acts. In recent years, mindfulness—the ability to observe the present moment without judgment— has demonstrated itself to also be a useful tool. Rather than being an alternative to CBT for OCD, as it is sometimes framed, mindfulness can be applied to what we already know about CBT in a way that improves compliance and enhances our ability to help those who suffer with OCD. The first step in the treatment of OCD is helping your clients understand that the disorder is characterized by obsessions (unwanted intrusive thoughts) and compulsions (physical and mental behaviors aimed at reducing distress associated with the obsessions), and that these two features interact in a negative reinforcement cycle that is hard to break out of. But to understand why one is struggling with these types of thoughts, which the clients themselves typically view to be odd and unreasonable, educating the OCD sufferer on the nature of the mind is essential. People with OCD are paying a different kind of attention to certain unwanted thoughts and can confuse the intensity of the content of these thoughts with their importance and the level of responsibility towards address them. Traditional cognitive therapy typically involves identifying distorted beliefs or assumptions and challenging them with more rational conclusions. But this can get our clients with OCD into murky territory in which challenging distorted thoughts becomes a form of compulsive self-reassurance, and thus contributes to the perpetuation of the obsessive-compulsive cycle. 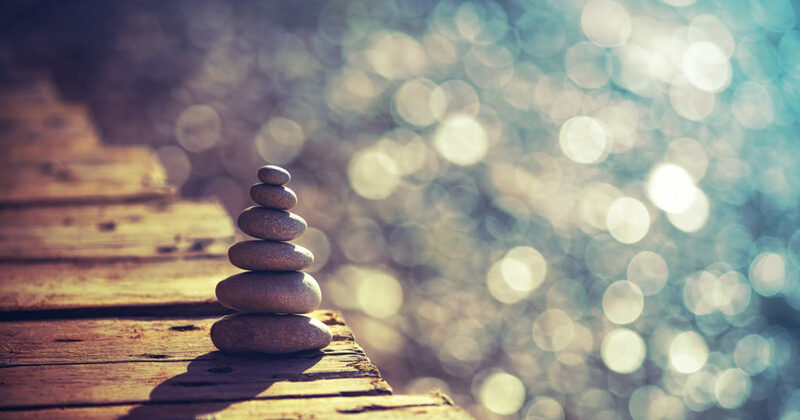 By bringing mindfulness into the equation, we can teach our clients that the way they are thinking about a triggering or distressing experience can be observed. By observing, rather than identifying with this thinking style, it is possible to avoid getting lost in the fear of what could be and instead remain planted in the experience of what simply is. Clients with OCD may ask you if you do ERP or mindfulness, anticipating that mindfulness approaches are gentler or less painful. Yet, somewhat ironically, they may also tell you that they don’t like to meditate or observe their thoughts as simply being thoughts, because that’s too intimidating. In other words, to be mindful is to view intrusive thoughts and associated distress as objects of attention that can be observed and then let go of without condition (without compulsions). Similarly, to do ERP, that is to gradually expose oneself to the uncertainties surrounding obsessive fears and prevent oneself from responding with compulsions is to say, “I choose to observe the discomfort rather than eliminate it.” Both perspectives require a kind of “sitting with discomfort” and intentional curiosity about unwanted thoughts and feelings. In closing, a lot of what clinicians find difficult about implementing ERP (and CBT more generally) is a mindfulness challenge, getting their clients to allow themselves to feel what they are feeling in the present moment (the exposure) and to choose to stay with it as it passes rather than try to force it out with compulsions. At the same time, a lot of what clinicians find challenging about mindfulness for OCD is recognizing how much of it represents an exposure to the OCD sufferer. By viewing mindfulness and CBT as working in concert with one another, we may get better results. Join Us. Practice Using Mindfulness and CBT To Enhance Your Clinical Skills!